When your skin is dry and itchy, it can be incredibly uncomfortable, and you may naturally wonderwhy your skin is so dry. Dry skin may occur at any point during the year, although it is more common during the winter, leading to the phrase "winter itch." Learn why your skin is dry at any point of the year, particularly during the winter, and what you can do to treat dry skin, whether it is your face, feet, hands, face, or lips. If you keep asking this question and have no answer, here you will have a look of several most common culprits causing dry skin. Skin tends to get its driest during the winter since, humidity levels and temperature drop. If you live in the desert areas, when temperature soars, you skin will also become dry. All forms of heat will reduce humidity in the air, drying out your skin. This means that space heaters, fireplaces, wood-burning stoves, and central heating may all play a role. If you take long hot baths and showers, you may have the answer to "why is my skin so dry?" These activities will dry out skin, andthe same theory goes with frequent swimming, particularly in pools with high chlorine content.Over-chlorinated pools can dry out the top oily layer of your skin responsible for locking in moisture. You can avoid dry skin by applying the right lotion before and after swimming. Some of the most popular detergents and soaps strip moisture from the skin. The most damaging products tend to be antibacterial soaps/deodorant; also certain shampoos can also dry out your scalp. The sun dries out your skin, making it even worse.The ultraviolet radiation will penetrate deep into your skin, causing dryness under the top layer. In fact, the most significant damage happens in deeper skin layers, causing sagging, loose skin, and deep wrinkles. Certain skin issues can cause skin dryness, like psoriasis, eczema/atopic dermatitis. 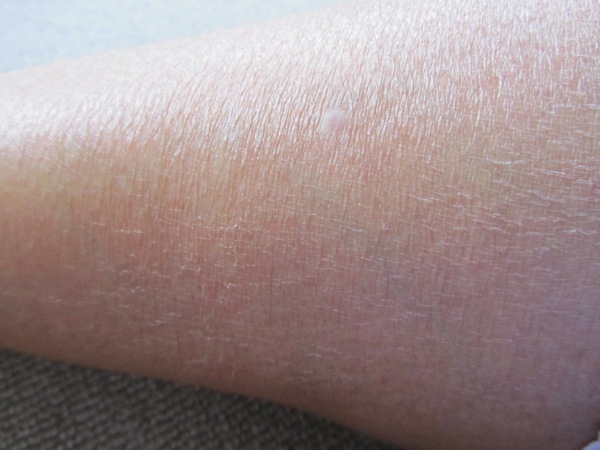 These issues involve dead, dry skin cells rapidly building up and creating thick scales. If you have such conditions, you should seek for medical help to gain a skin improvement. Why is my skin so dry? One of the answers can be the aging sin. Skin starts to naturally dry out as you get closer to 40. As it matures, it loses elasticity and even those who are used to oily skin will find themselves turning to a condition with dry skin. If you are taking certain medications, you may also experience dryness in your skin. This tends to happen when you are on a high dose or taking a strong medication. You can add raw fruits to the diet and drink lots of water to relieve the dryness. Wool tends to cause irritation and itchy skin. If you want to wear wool, wear a silk or cotton shirt underneath to prevent rubbing. Otherwise, try to stick to cotton or silk. You can also use an unscented, mild, hypoallergenic detergent and stop using fabric softener. Why is my skin so dry? If have such a confusion, you will need to take care of your skin conditions, and here we give some effective methods to soothe your dry skin. Hot water takes moisture from your skin so use lukewarm water instead. If you do need a hot shower, keep it short and don't shower more than once a day. Also, try to avoid hot tubs. When your skin feels dry and taut, it is the signal sent by your body to tell that you should moisturize your skin.Remember to moisturize your skin to avoid dryness on skin. When you finish your shower or wash your hands, moisturize afterward can be essential, especially in winter or dry weather. Moisture in the air will help prevent dry skin. This means that if you live in an area with low-humidity or have your indoor heating on in the winter, you should invest in a humidifier. This will add moisture back into the air then avoid skin dryness. You can go out and buy an expensive facial mask, but there are plenty of natural recipes that you can make at home with items that can be found in your kitchen, such as avocado, milk, honey and brown sugar. Why is my skin so dry? With such a question, you need to keep an eye on your frequency of exfoliation. With a moderate frequency of exfoliation of skin, the moisture products will work with better results. You can exfoliate skin for 1 to 2 times every week, using a mild scrub and do the same with a sugar or salt scrub in the shower. You can also try dry brushing your skin before showering. When choosing your skincare products, always pick ones that are gentle and unscented. Others will be too harsh if your skin is dry or sensitive. If you notice your skin gets too dry, avoid use deodorant soaps and skincare products with alpha-hydroxy acid (AHA), retinoid, fragrances, or alcohol. The majority of our water intake comes from food, but you still need to stay hydrated. Also, make sure to eat fruits, vegetables, and nuts as all contain vitamins and minerals that help your skin stay healthy. Also, reduce your intake of fried and salty foods as they dehydrate your body, making skin issues worse. You can work to minimize the skin changes caused by aging. Start your morning with applying a good amount of rich body and face cream. Also, choose skin care products with hydrating properties, and specifically look for water-based products with antiaging serum to keep the skin hydrated and minimize wrinkles, which can help with slowing the aging and dryness of the skin. Always wear sunscreen when you go outside, picking an SPF of at least 15. This protects your sensitive facial skin from the sun, stopping wrinkles, sun spots, burns, and dryness. Wear sunscreen all year round. An antioxidant or vitamin C serum is recommended to take daily. They reduce redness and prevent wrinkles. Make sure you pick a product with a good formula without sting, making it can be used for red, sensitive skin. Yet, if you have a history of allergic reactions to vitamin C, you'd better turn to another alternative remedy. With knowing the answer to the question: why is my skin so dry, you also need to know when your condition is serious enough to seek for medical help. If your skin doesn't get better despite trying to keep it moisturized, visit your doctor. You should also see a professional if the dry skin is scaling, peeling, or red in larger areas, or if you notice infections or open sores. In cases when dry skin is due to an underlying condition, you may need a medical treatment. If you don't treat your dry skin properly, you may develop a worse skin condition, such as eczema (atopic dermatitis) that leads to cracking, inflammation, and redness. Other possible problems include folliculitis (inflammation of your hair follicles) and cellulitis (bacterial infection of skin tissue that may enter the lymphatic system and blood vessels).